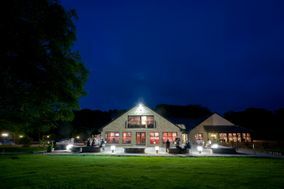 Wedding Venues Scotland ARE YOU A SUPPLIER? 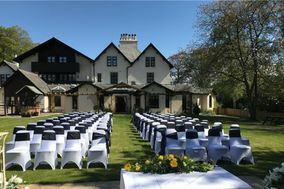 Guide to wedding venues in Scotland: in our listings you will find the best venues to celebrate weddings and other events like anniversaries, birthdays, christenings and other unforgettable special occasions. 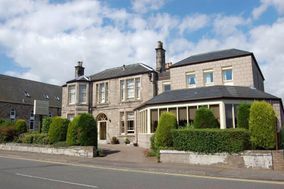 You can take a look at prices and wedding packages in addition to the best offers in wedding receptions in Scotland. Scotland is a world upon itself, filled with towering mountains, rolling green hills, a rugged coastline, and some of the most exciting cities in the world. 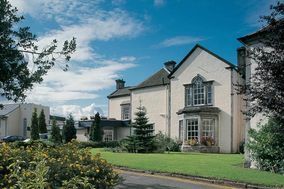 As you begin to plan your big day, you simply can't go wrong when choosing a wedding venue in Scotland. This historic country of highland legends, dramatic battlefields, and excellent whisky can offer you some of the most scenic backdrops and gorgeous venues on the planet. Its lively cities, including Edinburgh, Glasgow, and Aberdeen also provide access to great restaurants, museums, and pubs for your out-of-town friends and family. Scotland is a country that is deeply proud of its history but also focused on enjoying the world's modern conveniences. 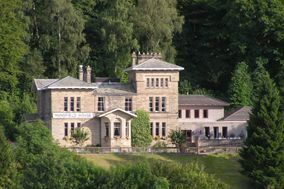 You can have both history and luxury when you begin searching for a Scotland wedding venue. The country offers many historic hotels and mansion wedding venues, some that have collected stories of triumph and tragedy over hundreds of years. You also can't beat the scenery in Scotland. 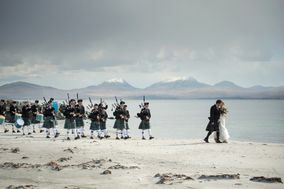 Imagine walking down the aisle with the gorgeous highlands as your backdrop or the mountains rising in the distance. Scotland is also a place known for its endless skies that can fill your wedding photos, especially during a sunset ceremony. That sky is truly the limit when it comes time to choose your venue. Consider getting married in a lighthouse or even an ancient castle that were once home to Highlander kings and queens. It can all be yours on your special day, as long as your wedding budget allows! 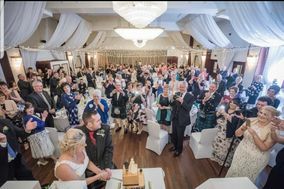 Your biggest challenge might not be finding the perfect wedding venue in Scotland, but rather choosing from so many great options. That's why it is so important to schedule tours of several different venues so you can effectively compare a variety of different places. 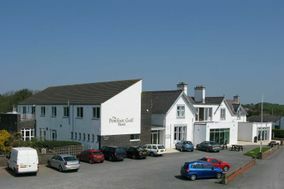 Request a walkthrough of the venue and make sure you ask the venue coordinator plenty of questions. 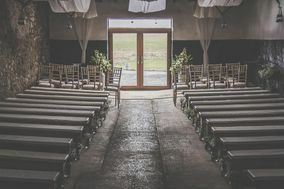 You'll want to know the total cost of the venue as well as average cost per guest (make sure you have a rough estimate of your guest list). Ask about the venue deposit and when it is due. Not every venue allows you to bring in your own vendors, so double check with each venue you tour. After all your venue tours, compare the pricing from each and check in with your gut, which will probably have the right answer for you. Your big day will come faster than you think, and there's so much to do. To get organized, start by checking out our wedding to-do list and then test out our other tools to stay on track so you can have the magical Scottish wedding you deserve.